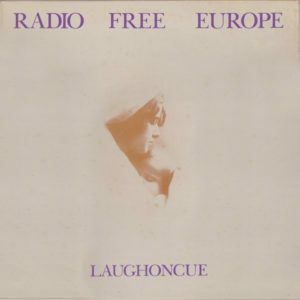 Ladies and gentlemen, I present you today with Radio Free Europe’s lone LP, Laughoncue. Though a synthpunk/minimal wave band in theory, this US-based act has more in common with the strange art-experimentations of Bene Gesserit or Throbbing Gristle than say, The Screamers or Units, but all the same, this record is an interesting and captivating release. Little is known about the band, as their discography begins with a few 7” singles in 1979, and ends with this record, released in 1980. If anyone has any further information about the band, feel free to pass it on! This entry was posted on January 9, 2008 at 5:14 pm and is filed under 1980, 1980s, experimental, minimal, synthpunk, US . You can follow any responses to this entry through the RSS 2.0 feed You can leave a response, or trackback from your own site. i used to collaborate with radio fre europe. i now make experimental film and various psychedelic digital media. here’s a current site with a recent video featuring personal recordings with terence mckenna and a video(Fleet) for Pablo Sandoz, colin angus’s (Shamen) new project. rose x, big soma, magic carpet media. Thanks for this. I've had a vinyl copy since the eighties, but it's pretty chewed up now. "It Likes You" and "Fulda Gap" are awesome experimental music. Thanx for that post of Radio Free Europe’s ‘Laughoncue’. The LP record I owned once got stolen years ago and I’m glad to find their music here. Quite a cool and clever album: experimental but well composed, not just noisy but also atmospheric, presenting special soundscapes.